The 2014 Epic Giveaway is well underway! In partnership with ARM, HEXUS is giving all our readers around the globe the chance to win amazing new prizes this holiday season! Every weekday for the next few weeks, we'll be giving away a brand-new gadget powered by the ARM architecture. On day 18, we're giving you the chance to win one of two dual-bay Qnap TS-231 network-attached storage server. Armed with a Freescale ARM Cortex-A9 dual-core 1.2GHz processor and 512MB of RAM, the TS-231 promises to be "a powerful yet easy-to-use network storage centre for backup, synchronisation, remote access, and home entertainment." To be in with a chance of winning this awesome prize, simply answer the following question, and don't forget, you can also claim a free second entry via Facebook! Good luck, and check back soon for more prizes in our Epic Giveaway! The competition winner will be picked at random from all eligible entries that arrive by midnight of the closing date, December 31, 2014. The winners will be notified via email by January 7, 2015. The winner must claim their prize within 7 days of the promoter sending notification. If the prize is unclaimed after this time, HEXUS reserves the right to offer the unclaimed prize to a substitute winner selected in accordance with these rules. 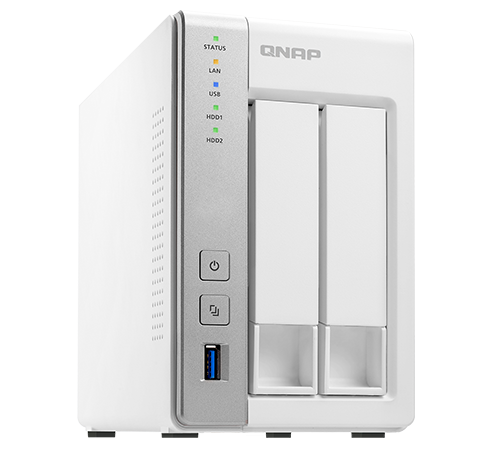 The prize is one of two Qnap TS-231 NAS servers. Thanks for the chance - luck to all, and happy holidays to all. I hoped the answer would be nuclear arsenal storage but then I thought they would not be running a giveaway on explosives(shame!). Very nice. Many thanks Hexus.